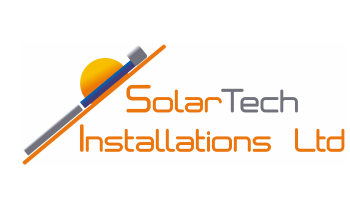 Domestic PV We supply and install high efficiency solar photovoltaic (PV) panels, which enables you to utilise the natural energy resource generated from the sun. Solar PV systems will generate electricity which you can use to run your household appliances; you will also generate a guaranteed income and see a more than a 10% return on your investment. Solar PV (photovoltaic) panels convert sunlight into electricity. The free power generated from your solar panel array can then be used to power your home or business or sent back to the grid for others to use! A generation meter is installed to monitor the volume of electricity generated by your solar photovoltaic system. All solar PV system is made up of several components: solar panels (or ‘modules’), an inverter, a generation meter and your existing consumer unit. Photovoltaic cells in the panels turn the light into DC electricity. The current flows into an inverter, which converts DC to usable AC current. The current is fed through a generation meter, then into your consumer unit ready for use. Any electricity you don’t use is exported to be put directly into the grid. PV systems are usually (but do not have to be) mounted on the roof of the property. They can be retrofitted on existing premises or built into new developments at the time of construction. They are suitable for single dwellings right up to large industrial and commercial buildings. Systems are normally connected to the National Grid but can be standalone, off grid. We offer a full design, supply, installation and maintenance service. We design tailor made schemes that make use of multiple renewable technologies that would complement the use of your solar panel installation. Generate your own clean electricity throughout the year. Reduce your electricity bills and avoid rising fuel costs. Get paid an income via the Government backed Feed in Tariff, for a guaranteed 20 years, TAX FREE. Average system pay back 9 years. How to get more from your solar panel installation and utilise the energy you are producing. If you have a Photovoltaic (PV) system you have probably noticed that you are exporting to the grid over 50% of your energy. Now with the use of an immerSUN you can have PV Water Heating, - you can ‘heat your water for free’ using your own green energy. Surplus energy from your PV panels can be diverted to heat your water using your immersion heater, turning your PV system into a solar hot water heating system. The immerSUN PV water heating system is a simple and straight forward option to heat water and your house with solar PV panels. In essence the immerSUN hot water controller is a solar water heater. Additionally the immerSUN can cascade the free energy to a second heat source; e.g. the immerSUN can divert your free PV energy to storage heaters, electric under floor heating or electric panel heaters once the first source is satisfied.